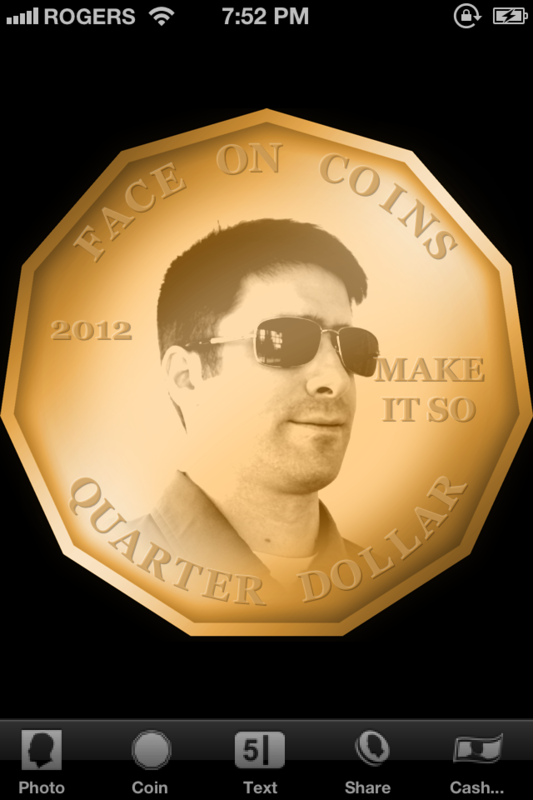 Put your own photos on coins! 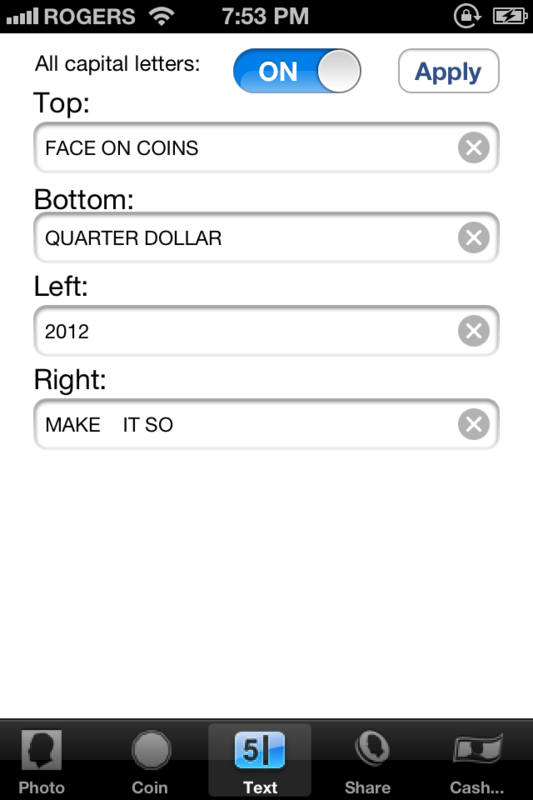 This iPhone, iPod touch, and iPad app turns your photo in to money. 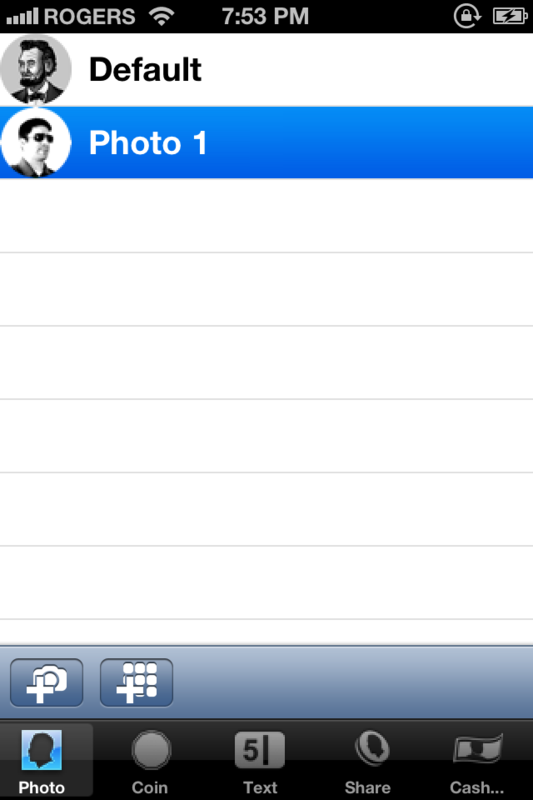 ● Load from photo library or camera. ● Fast and easy interface. ● Customize numbers and text. ● Graphics designed for iPhone and iPad resolutions. ● Export completed image in HD to photo library, Facebook, Twitter, e-mail, Tumblr. 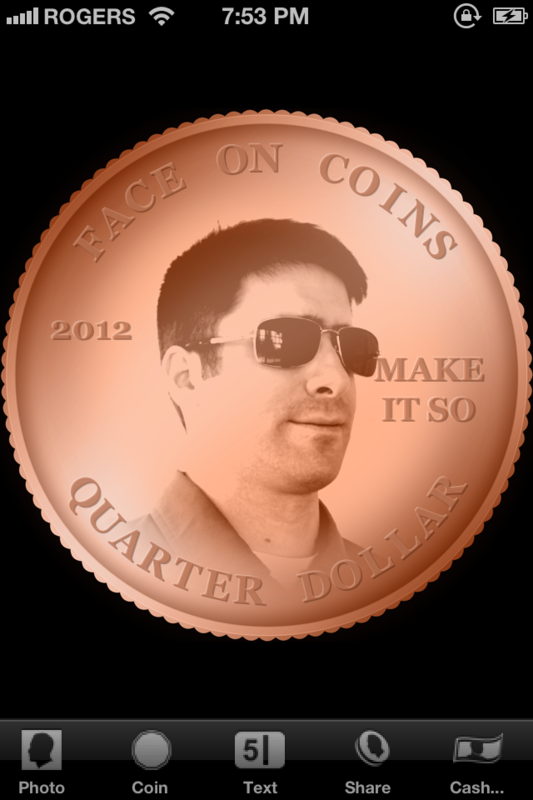 Get your Face on Coins booth app right now! 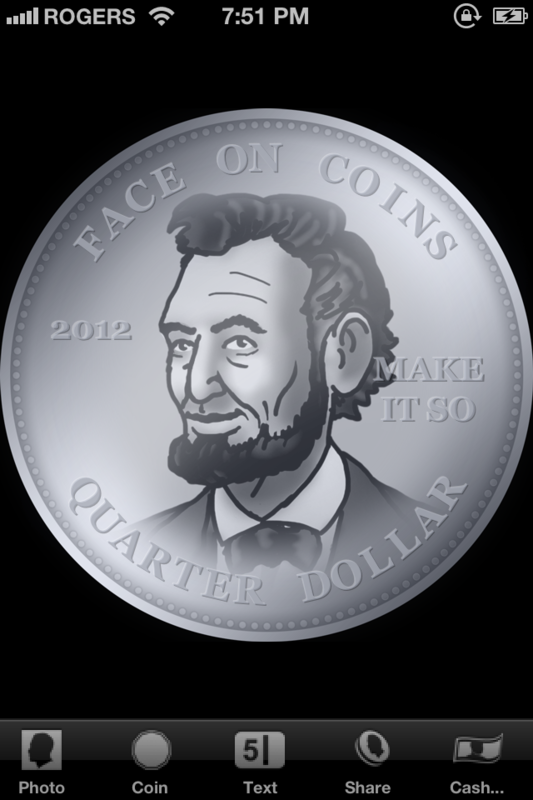 Optimized for iPhone 5 and iOS 6.